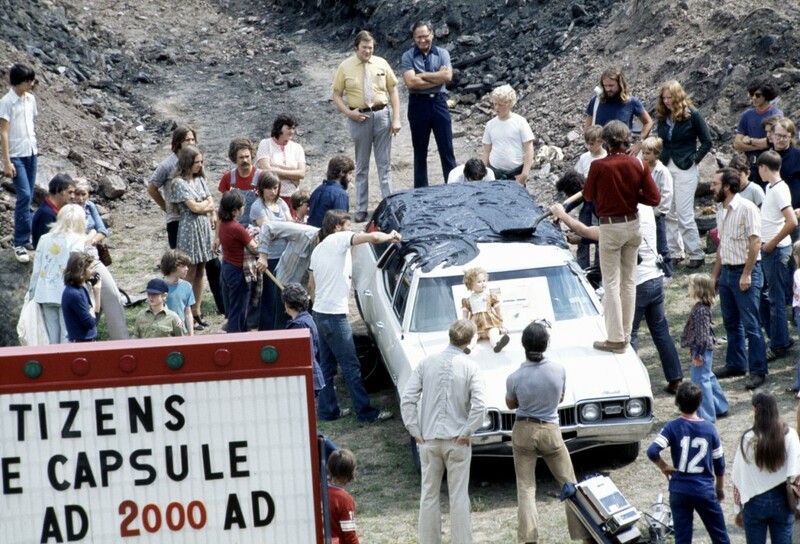 Ant Farm, OldsMobile Time Capsule, 1975, at ArtPark in Lewiston, N.Y.
Photo by Chip Lord and Curtis Schreier. 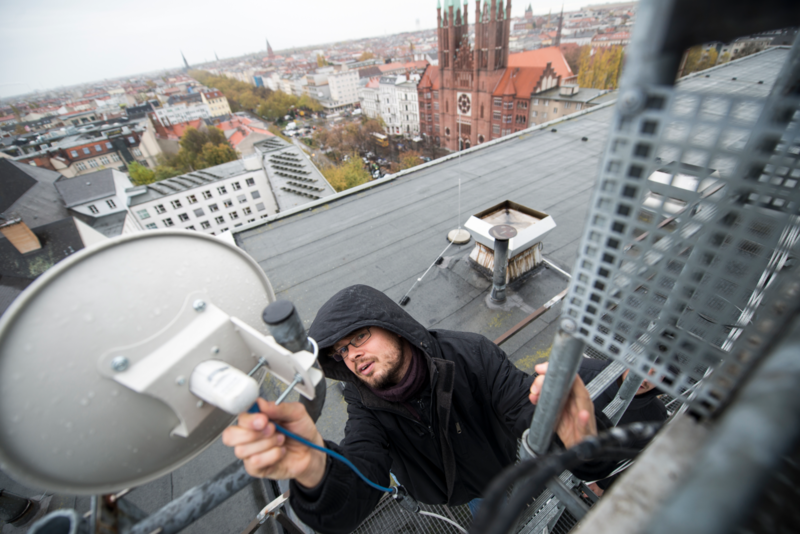 The Freifunk-Initiative installing WiFi antennas in Berlin-Kreuzberg in 2013. 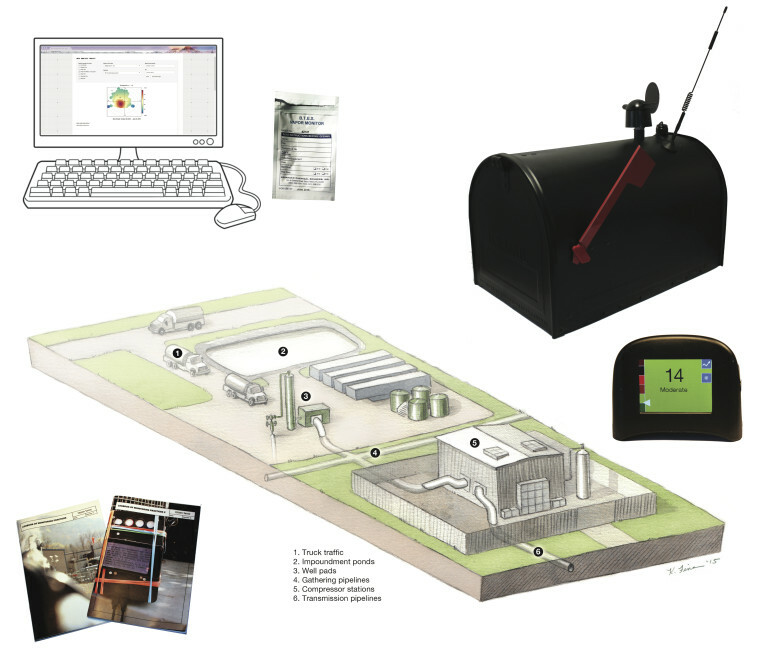 The Citizen Sense kit developed in the course of the practice-based research on “Pollution Sensing” is a response to the concerns of community members, who provided information via Citizen Sense “logbooks” that asked for input on key environmental and health concerns related to natural gas infrastructure. Homework: Begin to think about your Summer Semester projects: what model of artistic collaboration you want to follow, which community or place you will collaborate with, whether you will work alone or in a group. Feel free to email with questions or potential ideas. Jol and Sasha give introduction to methods for the semester – interviewing, archiving, recording, transcribing, synthesizing, translating processes. These are all methods you will use to collaborate. Read the short text “The Artist as Ethnographer” by Hal Foster. Discussion. Homework: Prepare to come to class on April 22nd and present to us what you have decided to work on for the semester. Everyone presents what is their project for the semester and what methods they might use. We give comments and feedback as a group. Homework: Start research on your topic! 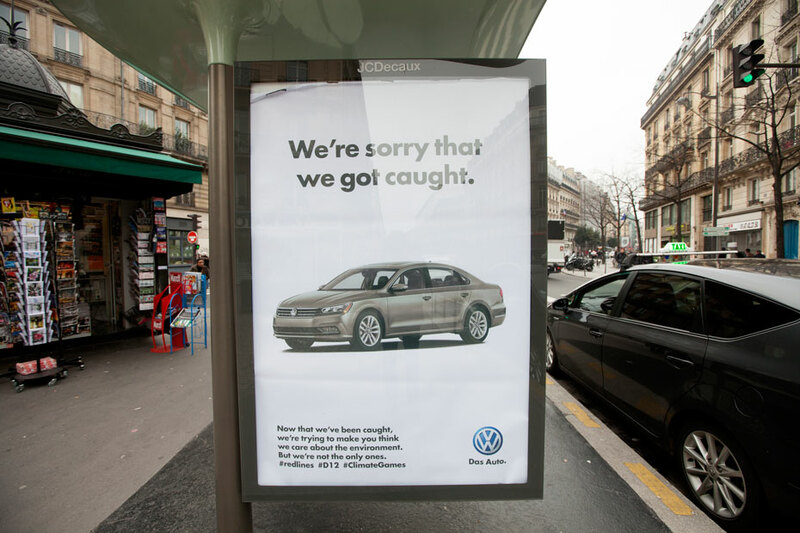 Telling Stories: Conduct your first interview and transcribe it. Field Guide to the Busch: Draw first specimen of Busch and write a caption about it. Busch Kit 1.0: Develop research questions and ideas for what your Busch Kit will do and what it will include. Network the Busch: Have first meeting with Freifunk Brauncwheig and decide how best to collaborate with them. Independent – Take first step in your new project. Today we have guest lectures in the morning from Henry Greil and Kerstin Wolf. Homework: Make at least ONE post on your online profile pages and add a paragraph of context. Morning: Sound architecture performance and lecture. Review of Becoming Pilot excursion to Cappadocia, Turkey. Guest lecture from Derek McCormack, University of Oxford.